Making the final decision on which platform to use is difficult. Your choice will deeply impact future customer experience and scalability options. It’s a complicated and demanding task to pin down which platform is right for you, so we’re here to help. We created a handy guide as a short cut to save you time and energy in your research. Get your eBook today! Agile and innovative, our eCommerce experts revel in the opportunity to craft an online store that sets you apart from the pack. 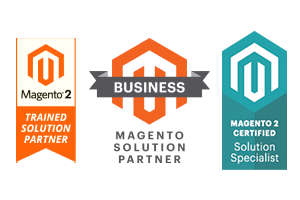 With certified Magento, BigCommerce, and Shopify developers, we offer unbiased recommendations based on over a decade of technical experience. We learn your strategic and project needs before suggesting which eCommerce platform best serves you. “Our loyalty is with atmosol because they’re the ones who have shown us success. They understood the need to evolve the business model to today’s consumer needs. We have a need to stay current with the needs and demands of the consumer shopping experience. We pursued partners that would allow us to put an emphasis on a relationship like that."